*Authorized Fieldstone Cabinetry Dealer* Benbow & Associates is a family owned and operated kitchen and bath cabinetry company located in Asheville North Carolina. For over 30 years, we have prided ourselves on our quality craftsmanship and timeless design. Our body of work ranges from small cabinetry updates to cabinet packages for an entire home. Our work has been featured in Carolina Home and Garden, Signature Kitchen and Bath, Architectural Digest, WNC Magazine and Fine Home Building magazines. Before you begin making many serious decisions about out the design for your kitchen or bath, try to get a feel for your available funds. This is often one of the largest determining factors of the end result of your project. If your budget allows it, try to remain flexible with your plans. Custom design goes the extra mile into building an environment tailored especially to your needs, and knowing your budget is one of the best ways to make a concrete, realized plan. Banner's Cabinets has the reputation of providing customers with the absolute perfection they desire. Our focus is on the little details that make a big difference aesthetically and functionally. *Authorized Fieldstone Cabinetry Dealer* Packard Cabinetry of Hendersonville opened its doors in the Historic Downtown District of Hendersonville, NC, in September 2010. We’re proud of our extensive displays, so you can see some of our custom-designed cabinets, our built-in furniture, countertop selections, and some of the state-of-the-art kitchen appliances that are used on your projects. We also carry a full complement of sample cabinets, trim, crown molding and baseboard molding, granite, quartz, and a variety of solid surfaces in materials that will last. Our partners, some of the industry’s best manufacturers, allow us to bring you the highest quality, innovative, and advanced accessories, appliances. Kevin J. Smith has teamed with Rae and John Packard of Sea Cliff, NY, to offer Western North Carolina and the upstate of South Carolina the three essential elements needed for every successful cabinet job–excellent design, quality cabinets, and expert installation. Kevin Smith has over 30 years of experience installing cabinets, from the most basic to the very high-end designs. He has worked in local areas, such as The Cliffs, the Reserve at Keowee, and The Ramble. 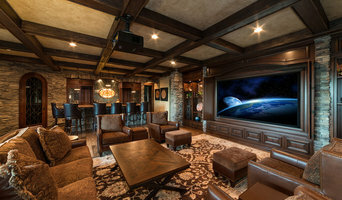 With an impressive staff of expert designers, clients know they will end up with a beautiful space that functions well. Banner's Cabinets is a third generation family business that manufactures and installs custom cabinets, furnishings, millwork, and interior/exterior doors. Custom projects are our specialty. Banner's Cabinets has the reputation of providing customers with the absolute perfection they desire. Our focus is on the little details that make a big difference aesthetically and functionally. Factory cabinets are mass-produced with little personal attention - Banner's Cabinets are produced with the specific end-customer in mind. While we can offer the more affordable factory variety of cabinets, our reputation continues to be the perfection that accompanies the Banner's Cabinets brand. 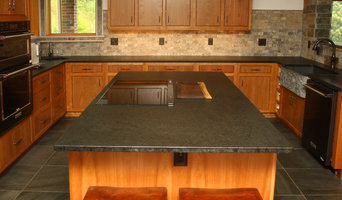 At Smoky Mountain Cabinetry we provide our clients with everything needed to complete their jobs. No matter how big or small we have something for everyone. Everything from inexpensive contractors grade cabinets and countertops to complete custom cabinet work. Check us out and see why all our customers are telling their friends about us. We have served western North Carolina since 1995, with thousands of satisfied customers to back up our reputation. If given the opportunity, we are confident that we will exceed your expectations with our service, creative design, and quote. We pride ourselves on award winning design, competitiveness, and customer communication. We offer several cabinetry lines that are customized to any budget and taste; or if you wish, let us design to your specifications and our craftsman will build custom in our shop. Our mission is to be the leading cabinet provider and manufacturer in our area by seeking to improve our products and services each day, as individuals, and as a team. At the heart of our mission is to exceed our customer expectations through quality, professionalism, innovation, honesty, and fairness. Authorized dealer of Custom Cupboards cabinetry. Blue Ridge Cabinetry is the preferred source for fine custom and semi-custom cabinetry for kitchens, baths, entertainment centers and every other room in the home. We specialize in providing high quality cabinetry and excellent customer services to new home builders, remodeling contractors, architects and home owners throughout the Western North Carolina area. The range of cabinetry styles and features that we offer are among the very best that you can find anywhere and that includes our eco-friendly green-built cabinetry. 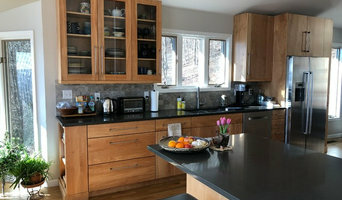 Our experienced team of designers, project coordinators and installers also adds significantly to the overall quality of the services that you will receive from Blue Ridge Cabinetry. Beginning with the very first meeting and continuing through the design and installation process you will not find a more dedicated and reliable source for all of your cabinetry requirements. Perhaps the most important difference between Blue Ridge Cabinetry and other cabinetry suppliers is the added benefits we provide with every order – knowledge, service, experience and integrity. These benefits mean a great deal to us because we know they also mean a great deal to you. We are a family owned business that has over twenty five years of experience in the cabinet manufacturing business. Carolina Custom Cabinets Inc. specializes in custom cabinetry and operates out of Lenoir, NC. When you think about cabinets, your mind probably goes straight to kitchens and bathrooms. 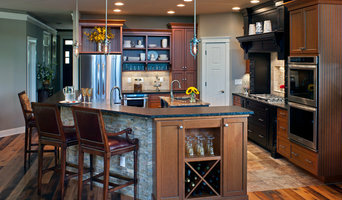 But Black Mountain cabinetry professionals’ abilities extend far beyond those obvious spaces. 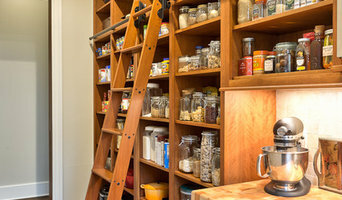 If you need built-in storage, shelving or custom case goods, no matter what the room or purpose, cabinetry experts can help. Their focus on details and space-planning skills can help you squeeze functionality from even the tiniest corners of your Black Mountain, NC home. In addition, Black Mountain, NC cabinetry pros can help you give worn or dated cabinets a makeover. They can replace doors; add glass inserts, decorative moldings and other details; or give cabinetry a new coat of paint or specialty finish. Your cabinetry professional might work closely with a North Carolina kitchen designer, builder, remodeling contractor or interior designer. Here are some related professionals and vendors to complement the work of cabinets & cabinetry: Kitchen & Bath Designers, Kitchen & Bath Remodelers, Interior Designers & Decorators, Closet Designers and Professional Organizers, Woodworkers & Carpenters. Find a cabinetry professional on Houzz. Narrow your search in the Professionals section of the website to Black Mountain, NC cabinets and cabinetry. You may also look through North Carolina photos to find examples of cabinets that you like, then contact the cabinetry professional who worked on them.